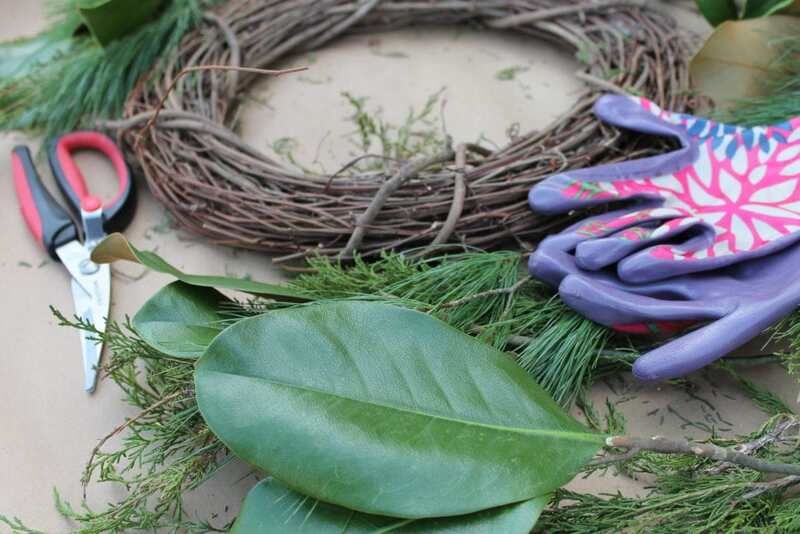 DIY custom wreath for less than $5?!?! You have my UNDIVIDED attention!! 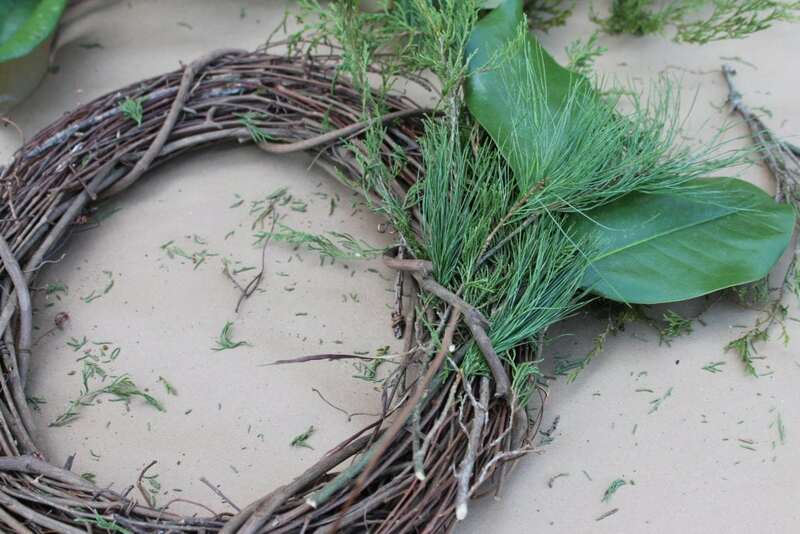 this $5 wreath makeover is for you! 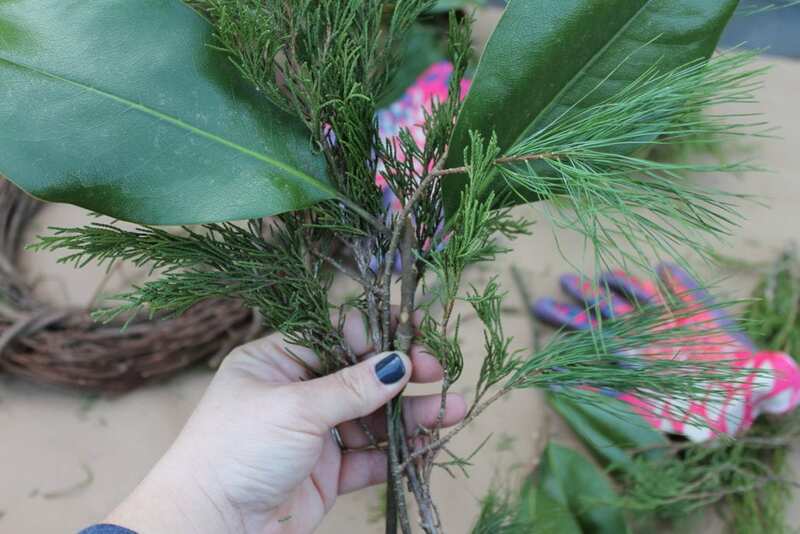 Step 2: Begin gathering your greenery in small bunches. 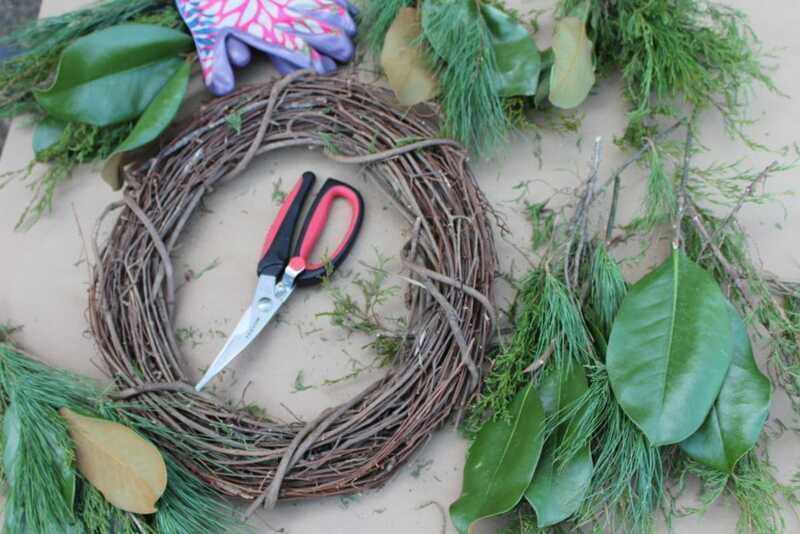 Step 3: Tuck the ends of your bunch under the vine on your wreath. 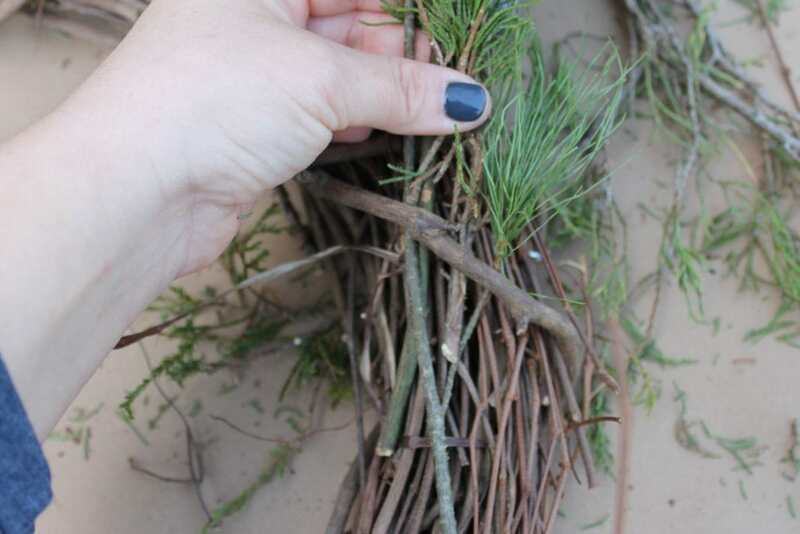 Step 4: Be sure your greenery is secure. 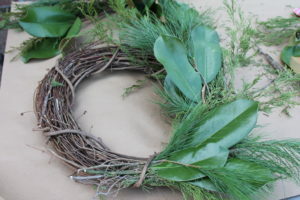 Continue tucking your bunches of greenery into the vine, turning and adjusting it so that it follows the circle of your wreath base. Step 5: Keep going! Place larger pieces where you feel they fit best. 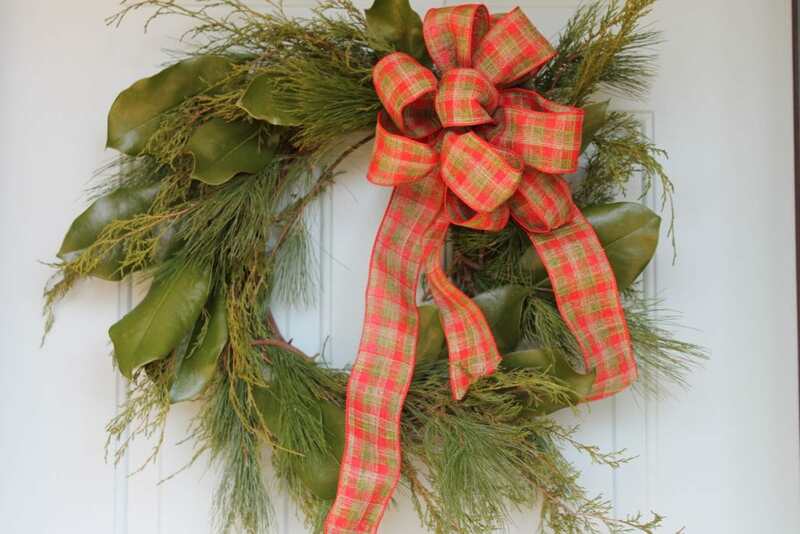 Step 6: Finish it off with a decorative bow and hang that natural beauty for everyone to see! Not really a bow gal? 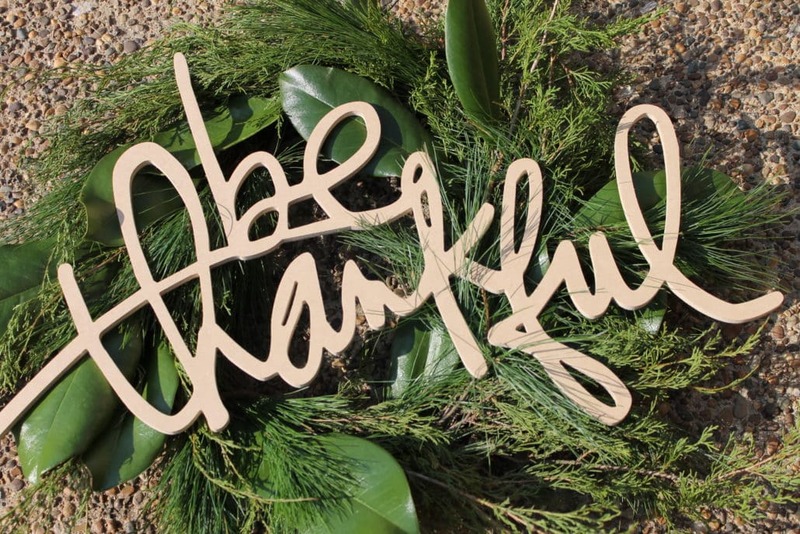 Pick up a great cut out with a cute saying to adorn the center! 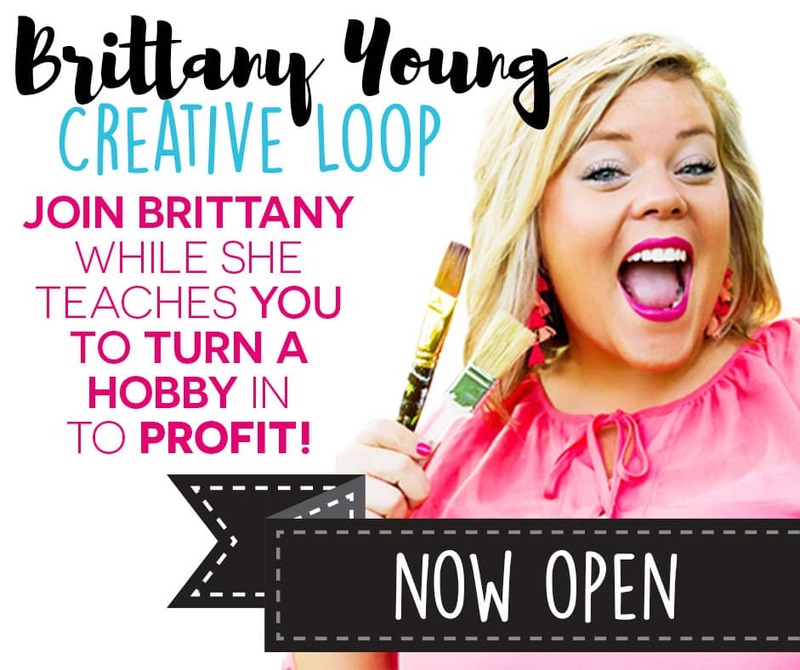 Need more specific step-by-step direction? Check out my DIY tutorial video below!